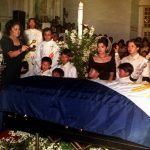 MANILA, Philippines (3rd UPDATE) – The long-running issue of whether or not former president Ferdinand Marcos should be buried at the Libingan ng mga Bayani (Heroes’ Cemetery) has finally been put to rest. Marcos was stealthily buried at the Heroes’ Cemetery past noon with full military honors. Albay 1st District Representative Edcel Lagman filed a manifestation before the SC on behalf of all petitioners. They said they have yet to receive full copies of the decision and opinions, thus preventing them from challenging the ruling in court. Lagman asked that SC justices consider reissuing another status quo ante order on Marcos’ burial until they are able to submit their motion. Lagman also asked the High Court to advise the Armed Forces of the Philippines or the defense department to hold implementation of President Duterte’s order to begin preparations for the Marcos burial until the SC ruling becomes final. 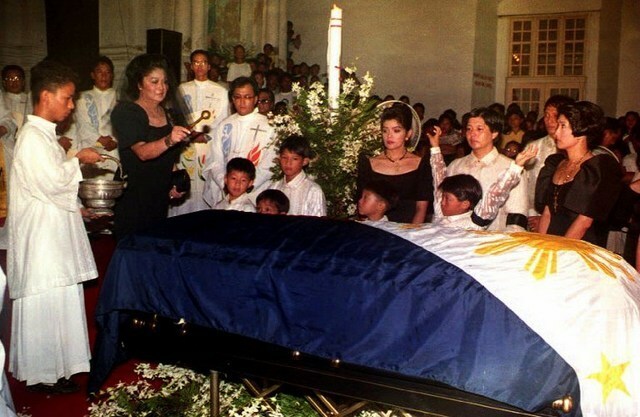 Marcos’ body was interred at the Libingan ng mga Bayani after being flown from Ilocos Norte. The exact date of the burial was never publicly confirmed prior to Friday, November 18. According to reports, media who were at the Heroes’ Cemetery thought that there would be a rehearsal only until Philippine National Police chief Director General Ronald dela Rosa arrived. He confirmed the burial and said that the Marcos family requested “simple and private” funeral rites. As of early afternoon protests are being organized by groups against a hero’s burial for Marcos.